The last album of a tragically-fallen legend is a tour de force of brilliant beats and unbelievable subtleties, wild experimentation and great production; but no, the title has no deeper meaning. 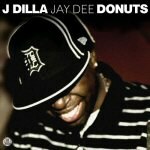 In the label's own words, "Dilla likes donuts". This is how a brilliant mind says goodbye. A liquid-blue soul siren, a laid-back old-school whine. J Dilla, Jay Dee, James Yancey, the heart and soul behind so many great albums and beats, passed away last Friday after an undisclosed length of illness; he was only 32. It was a dark day for hip-hop in the worst ways possible: message boards and forum threads crashed under post after emotional post; grown hip-hop men broke right on down and cried. "R.I.P. Jay Dee", in a million fonts, a million voices, people that had never met James Yancey but knew him through his music. Disbelieving, speechless, stunned. From his work as half of the Ummah with A Tribe Called Quest to more recent productions for artists from Busta Rhymes to Common, Jay Dee was almost terminally underground, never achieving the respect he deserved -- for a producer whose distinctive sound essentially changed the face of a lot of hip-hop production, disturbingly large numbers of people have been mistakenly calling Donuts his solo debut. Rather, it was his biggest work to date, a relatively high-profile release on respected indie label Stones Throw, released only days before his unexpected passing. Donuts was his stepping-stone to greater fame, begun simply as a beat-tape that evolved into something bigger. A great many of these tracks, sold to vocalists and properly promoted, could probably have been hits; Donuts throws them about with willfully reckless abandon, ticking off beat after consistently dope beat seemingly at random, the kind of dense record you could spend days or years or a lifetime coming to know and decipher. Dilla manipulates us with his fingers on the vinyl, building and releasing tension, birthing a whole new mood in just four bars. The opening to "Airworks" is a glossy little gliss into a sweet soul vibe, cut off a mere second after it begins, before you even know what's happening. The song begins again, but tentatively, differently, the first two notes sliding in like tiny little fingers and piercing you just there in the back of the head. He doesn't even give you time to recover, speeding the beat up almost immediately before introducing yet more variations. Donuts is full of moments like these, where the unexpected appears out of nowhere and you can feel your whole self shudder. Like the bizarre samples and the sputtery drums, Dilla pulls you deeper, always several steps ahead to throw the next sharp twists into the path. It's the proof of a relentlessly inventive talent, 31 tracks, most under two minutes in length, progressing from one to the next with no real transitions. This is startling at first, but by the end of the first listen you know it couldn't have been done any other way. Dilla's mind is packed nearly to the bursting with ideas, and he throws them all out there as fast as he can, moving to the next groove as soon as the first is established, often cutting loops abruptly short just as they settle in. "Don't Cry" is breathtakingly pretty, even as it whips through a dexterously unhinged series of tempo changes and styles. "Thunder", a jarring stomp of siren-laced badass, is cast aside less than a minute after it begins for the big-band saunter of "Gobstopper". You get the sense that Dilla is merely toying with us, that if he ever dared to show his full powers it would hit you in the gut and warp your head to a silent mess of putty. The vocalists aren't even missed; Dilla is a connoisseur of wonderful noises: unthrottled soul growls, strings like cake frosting, Jadakiss coughs and sampled screams and moans. They blend together perfectly, and the overall effect is that of a walk through the mind of a genius, loop after loop overflowing with raw potential. Much of the album was made on a portable sound system with records brought by visitors, while Yancey lay hospital-bound; you get the feeling he could sense what was soon to come. Sirens and ugly electronic bleeps recur throughout, adding the sharp contrast of reality as they crop up in the least likely places, going off like tiny bombs even in some of the most melodic tracks, revealing the chaos that is life. All hell may be breaking loose, but so is all heaven. Donuts is hip-hop, then, like "Howl" is poetry or Guernica is painting: the best aspects of a particular style, developed to their fullest and executed masterfully. Effortless, gritty, raw: it's an album of explosions and restraint, of precisely crafted balances and absurd breakdowns, of the senselessly affecting juxtaposition of the most powerful of dreams. Donuts is bright, greasy smears of funk and deep stains of soul, tossed up in a bottle with a dash of just-about-anything and insane. This is crazy-talk music, wild-eyed and inventive and remind-you-why-you-are-ALIVE. The final track and ostensible "intro", "Welcome to the Show", wraps things up on a lusciously golden, keening pulse of fuzzy, distorted vocals. They reach out of the speakers, they soak into the air, reassuring. Jay Dee is here, Jay Dee is here, and everything will get better on the other side of this rainbow. I listen to it, I can feel myself moving, I can feel my soul falling out through my fingertips. This is how a brilliant mind says hello.